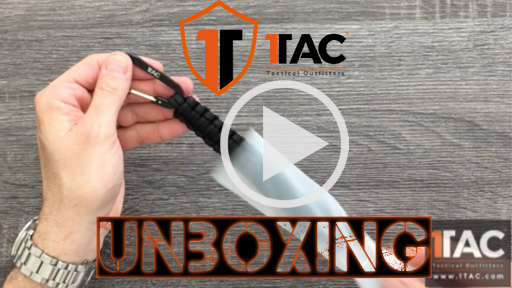 The 1Tac weatherproof Paracord Keychain is both functional and discreet. 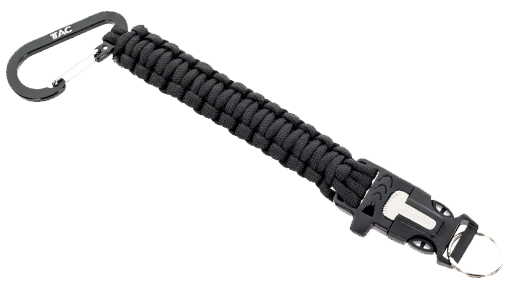 Fashioned from military-grade parachute cord, the 1Tac Survival Keychain has 7’ of super strong, 550 test military spec paracord. 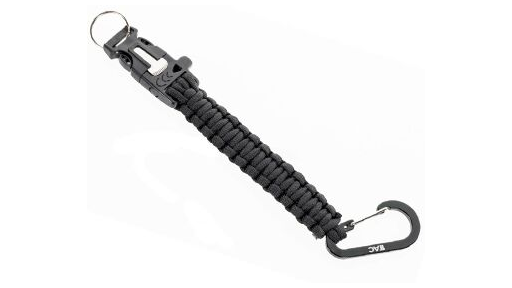 In an emergency, unravel the keychain to deploy the paracord for your use. Make a tourniquet, tie down a piece of equipment or use however the situation requires. 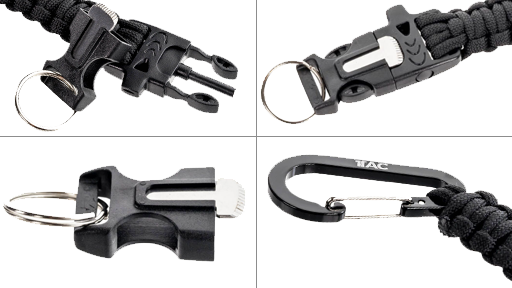 This keychain is equipped with a stainless steel fire striker and flint, emergency whistle, stainless steel keyring and stainless steel carabiner clip. 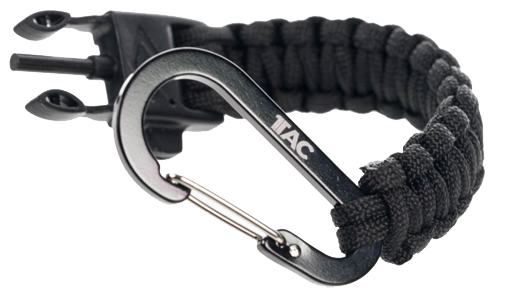 Be sure you’re always prepared by carrying the 1Tac Keychain with you at all times.